Sega Toys’ series of planetarium projection systems for home use, the so-called Homestars, is getting another update. The company has announced [JP, PDF] the so-called Homestar Aqua for the Japanese market (everyone living outside this country can pre-order the Aqua here). This version is smaller and can, as the name suggests, be used in the bathroom (it’s water-resistant). And it’s relatively inexpensive, too. 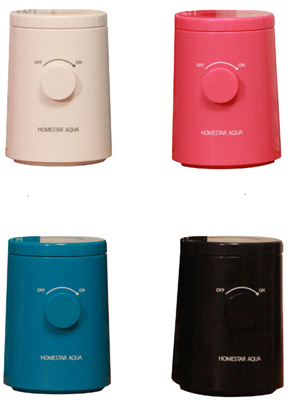 The Homestar Aqua is battery-powered, sized at just 85 x 118 x 87mm and weighs 400g. 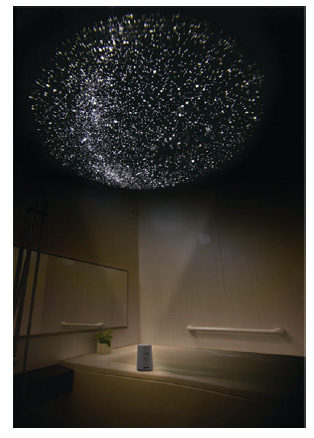 It projects around 10,000 stars onto a circular area of 1.8m in your bathroom (projection distance: between 1.5 and 2.3m). Buyers can choose between models in pink, black, blue and beige. Sega Toys will start selling the Homestar Aqua on January 29. It’s Japan only, but as stated above, the Japan Trend Shop lets you pre-order the device already (price: $73).